Anyway thanks again for the answers and i'll keep you guys posted! 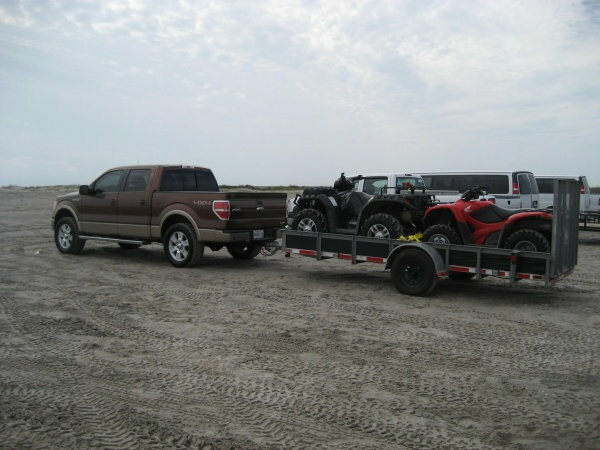 The trailer show's 13" wheel's and radial tires. Look on the sidewall of the tire and go to the max psi pressure when the trailer is loaded. You may have to lower the air pressure to see if it help's the handling on the road. I also agree that moving the atv to the front will sometimes reduce the bouncing. With no trailer brakes and small diameter tires it best to tow at 60-65mph max anyway. pull the atv further forward on the trailer. also, make sure your trailer is level when hooked to the truck. Youre still getting sway with it loaded like that? 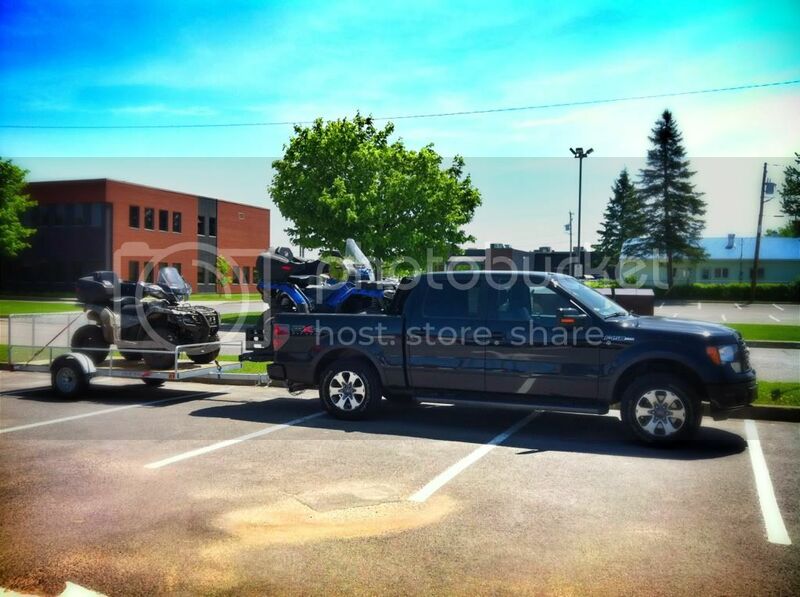 Trailer looks level and it looks like the quad is as far forward as it can go so youre covered there. In that case Id be looking at an alignment issue like another poster suggested. Oh ok, in that case I would be looking at the tires. Most trailers come with cheapo tires on them and they usually arent balanced. If you like the trailer Id have them swap the tires and see if that helps. Just a side note though, most trailer tires arent rated for over 60-65 MPH and the balancing is one of the reasons why. I would splurge and go with a 14' trailer, tight but I can fit two!